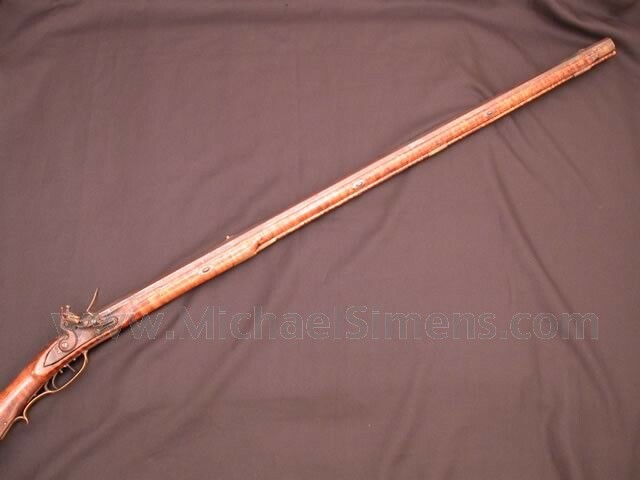 This is nothing short of a classic, special feature "Golden Age" Kentucky Rifle in original flint. It has a beautiful engraved and formed patch-box, silver mounts and silver key escutcheons. 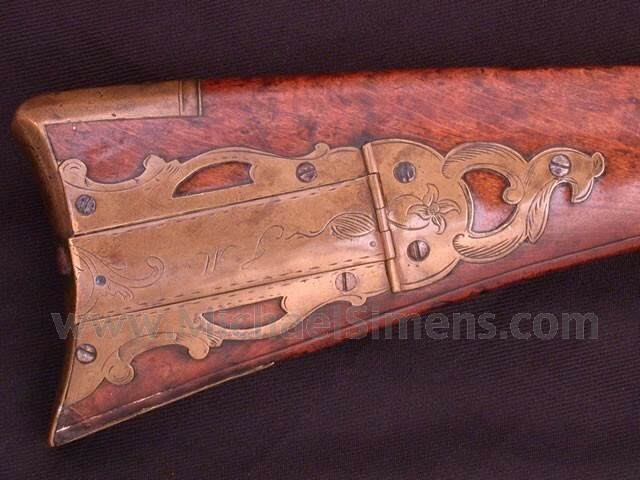 The cheek-piece is beautifully engraved with incised carving. Wonderful tiger-striped maple stock. There is an old Fladerman's add in the patch-box describing the gun when it was priced at $7,800.00 almost 20 years ago. 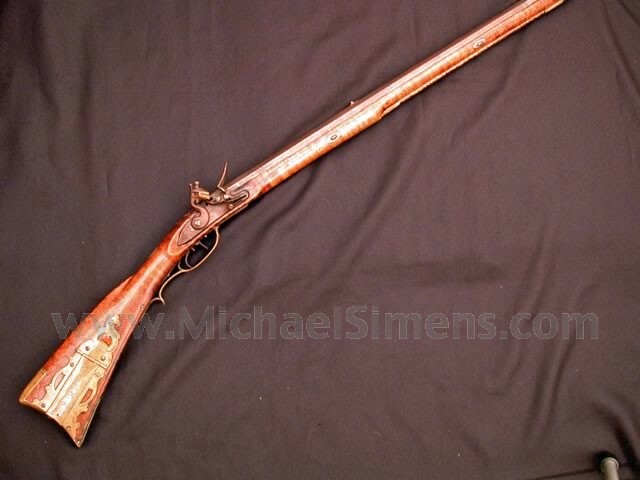 This is a beautiful Kentucky with amazing documentation on the maker Jacob Merckle who served in the Revolutionary War as did his father, both of whom were Kentucky Rifle makers. 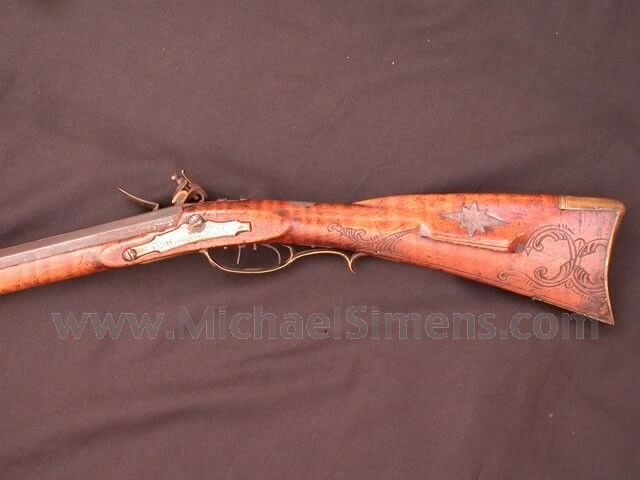 Merckle died in 1821 placing this gun smack in the middle of the "Golden Age" era.